Need some help with Season of War? Check out these cheats, hints, tips and walkthroughs. New info is added regularly. Play Season of War now! Find more Crazy Monkey Game Hints and Tips. or the Dark Lord's orc forces led by the necromancer Methus Kardec. 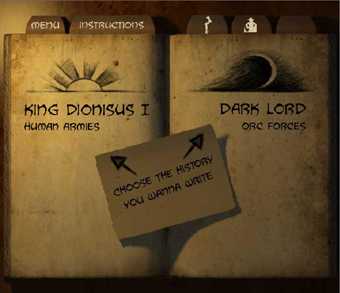 You'll decide who will write the book of history. Choose your side. Win all 7 battles to complete the war campaign and learn how the story ends. 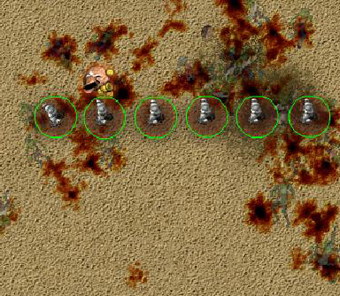 To win each battle you must destroy all enemy Headquarters (main outpost buildings) before the enemy destroys yours. 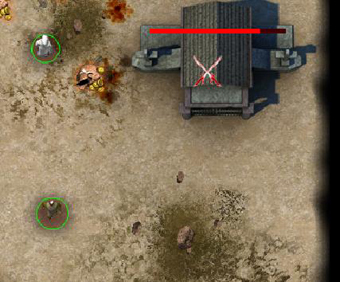 Click on the map (upper-right corner ) to move the game camera directly to the selected place. 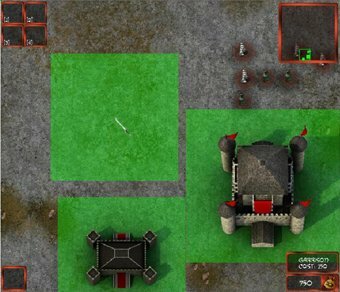 The map indicates your buildings and troops with green spots and enemy buildings and troops with red spots. '1,2,3,4' to recall the stored group of units. 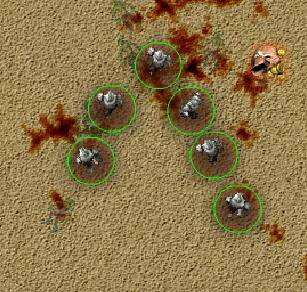 A green number in group slot (top-left corner) indicates the actual units composing the group. 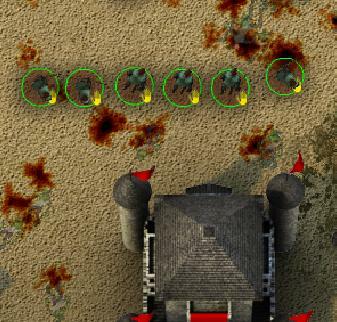 Mouse Click on the building/unit/action icon to activate (highlighted icons only). 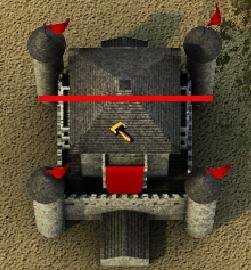 In the bottom-right corner, a brief info box indicates the building/unit/action description and money cost. Note that you shall build primary buildings to access to advanced building options. 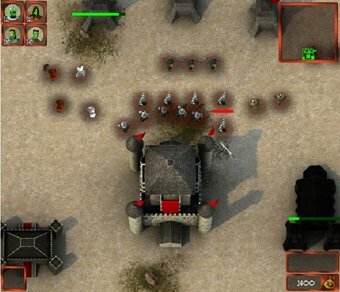 Kill all guards protecting the neutral buildings then click on the building itself in order to conquer them and gain a constant flow of extra money until the building is destroyed by your enemy. Instructions: to open this game-guide page in a new window. New Game: to start a new game (deleting any previous saved game you may have). Continue: to resume the game you were playing before opening the Main Menu. "Season of War" in fact automatically saves the game at the end of each battle. In case you lose a battle (Game Over) or you close the game/browser, just press 'Continue' on the Main Menu to continue from the beginning of the level you were on. Options: to set the graphic quality and the volume of music and sound fx (off or 1 to 5). Highscore: to look at the Hall of Fame highscore page. 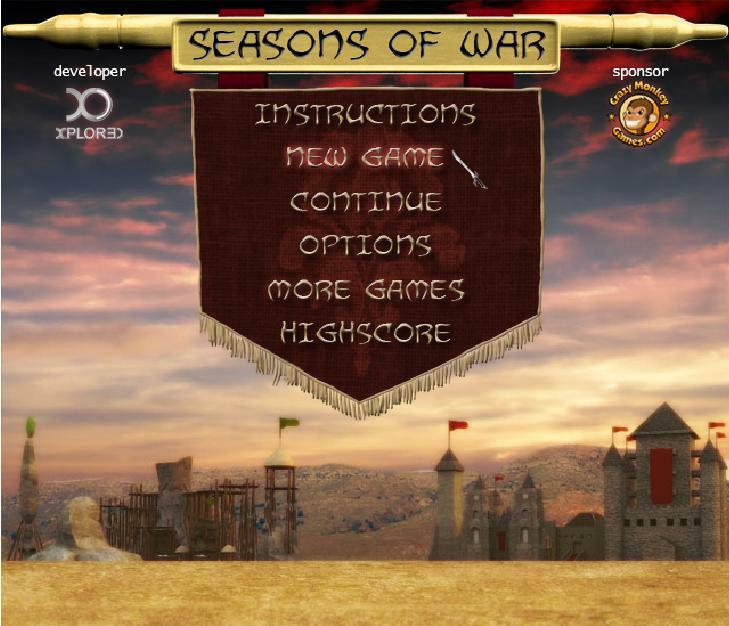 "Season of War" automatically saves the game at the end of each battle that is won, just after the battle score is displayed. In case you lose a battle (Game Over) or you close/interrupt the game/browser, just press 'CONTINUE' on the Main Menu to continue from the beginning of the level you were on. When you play a new game, just before starting the first battle you are asked to choose your side. 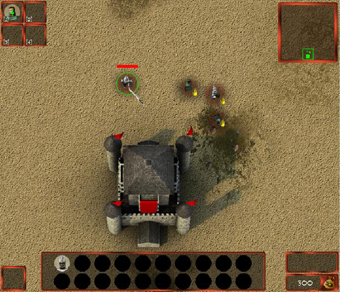 King Dionisus I - human armies: balanced army with good soldiers and bowmen, powerful mages, healing clerics and heroic paladins. Building special powers are good for both defend and attack. 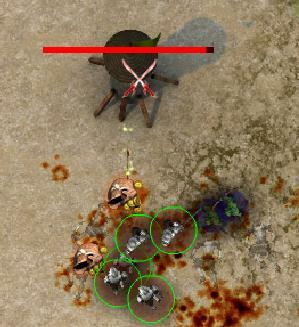 Dark Lord - orc forces: aggressive army with high damage potential thanks to tough regenerating troops causing high hand to hand damage. 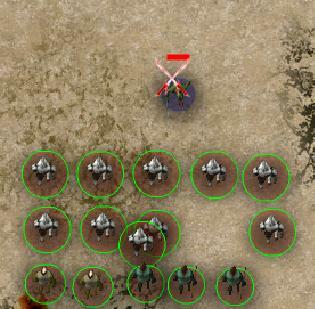 Orc shamans assist the battle with effective ranged area damage. 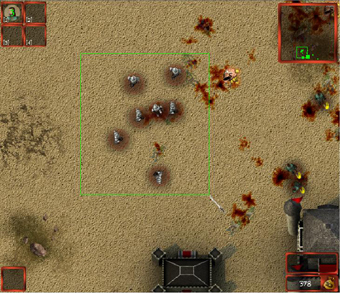 Building special powers are principally oriented to damage and kill enemies. 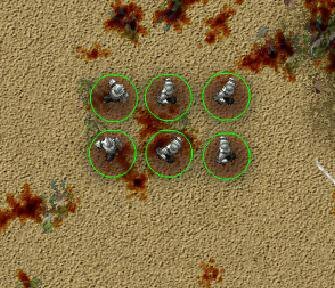 Dual Mode: remember you can play both armies. 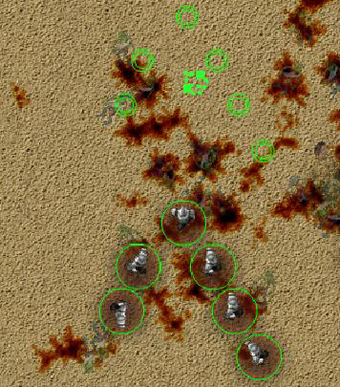 After you win the war with one army, try to see the other side's point of view and win the war with the other army! 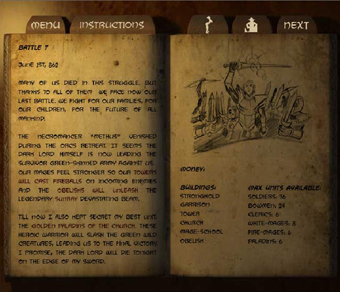 Before each new battle the commander's logbook tells the development of the story and explains what both armies are going to get as new strategic tools for the next engagement. Read carefully if you want to know which new forces you'll have at your command for the next battle! 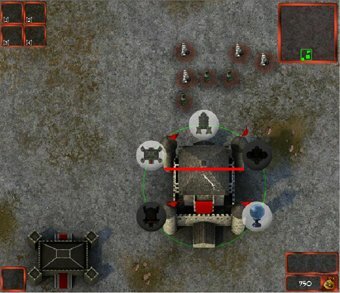 On the right page you can find a detailed list of the resources available for the next battle: available money, buildings and troops (with max number for each unit).